Interior design vs. interior decorating- what is the difference? This is a great question since many people outside the professional industry don’t actually know for themselves. The two are very similar so it’s a common misconception that they are the same. It’s also common to hear people use the two terms interchangeably. In fact, there are some big differences between the two and this can be very important if you are trying to hire these services for your own needs. So let’s take a quick look. Interior design basically involves the preparation of documents, usually by a licensed professional, for the purpose of construction of the interior space such as plans and elevations, lighting, details and specifications, power and communication locations, furniture layouts and materials and finishes. The idea is that all aspects of the space will be brought together from the very beginning- at the planning and design stage. Interior decorating, however, involves the decorating and dressing of surfaces in this interior space. This refers to window and wall coverings, furniture, decorative accessories, lighting and light fixtures, flooring or rugs/carpeting, and more. Interior decorating is done with the lifestyle, needs and tastes of the person who will use the space in mind. Some designers will do both but decorators are usually not designers. In many interior design firms, there are staffers who do it all so you can get a full-service experience with them. Always ask upfront if you are unsure. So now that you know the basics, let’s take a deeper look into the tasks these two types of interior professionals will do. The interior designer is a multi-faceted professional who works both creatively and technically to provide design solutions to a space, based on the needs of the space. 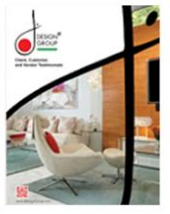 They can work in both corporate and private sectors on everything from home designs to office headquarters. They offer solutions that are both functional and aesthetically pleasing, and strive to make the most of the space they have to work with. In addition, designs will have to abide by local code regulations and it’s important that the interior designer is familiar with these. The interior designer will follow a systematic approach to setting up a space. This involves industry methodology, research and analysis, and their own creative process all combined to create the perfect space. So what does the interior decorator do? While quite similar, the decorator focuses more on the aesthetic side of the space and will create rooms to suits to needs and tastes of the people who will be enjoying them. They provide all the color and design, accessories and even window coverings and flooring in many cases. The job of the decorator is to make a space the best that it can be. The decorator will listen to the property owner and their needs and create a space befitting to those needs. A decorator is not required to have any formal training or licensing as a designer will, but many clients prefer it as it proves capability.